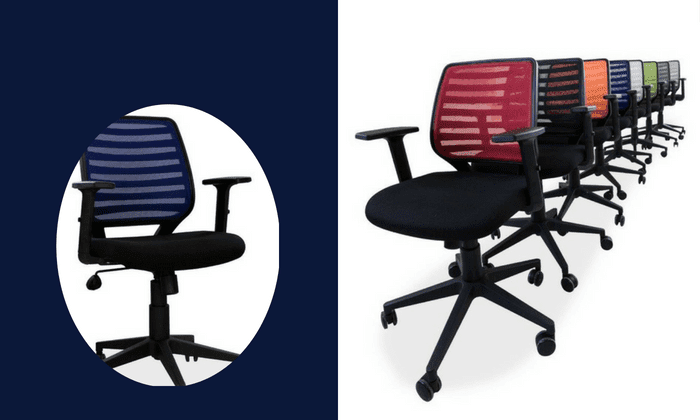 Our cool office chairs range is tailored to display absolute beauty and excellent design in any office space working conditions. Ergonomically designed, these vibrant seating chairs provide impressive support for the back and legs, offering the user superior levels of comfort. Our task chair collection comes in a wide range of colours, from vibrant greens, reds and oranges to more subdued blues, blacks and greys. All of our operator chairs also have a five year warranty for added peace of mind. For style inspiration, browse our site further and find the perfect operator chair for you. If you want to find out more or have any further questions, don’t hesitate to get in touch. Please click on product's images below to view more details about product. The William Office Furniture makes it possible for you to achieve high standards in acquiring top quality office chairs for your office space. Our main aim is provide you with top notch cool office chairs tailored to bring comfort and style in a work environment. Contact us today or book for an appointment to visit us. Don't Miss Out On Our Great Office Furniture Deals.